An excellent field force CRM results in reaching out and helping your customers and/ or clients at every touch points. A Customer Relationship Management Software or a field service management software captures customer information through data analytics and makes life convenient for your field staff managers to help ensuring a smooth completion of task. FieldEZ’s field service CRM or the field sales CRM starts functioning to make yours and your field staff manager’s life simple from Day one. FieldEZ provides the CRM feature in both the mobile application and the web application for the convenience of your field staff manager and data analysts. With its field sales CRM your field staff manager and your data analysts can now see customer details, assets bought by the customers, location of the customer(s), activity management, customer survey, etc to name a few. There are two modules that is currently available in FieldEZ’s field service CRM: update and track. With the help of these two modules you and your employees can update data on the app or the internal dashboard on the go and also track the patterns or changes in real-time. 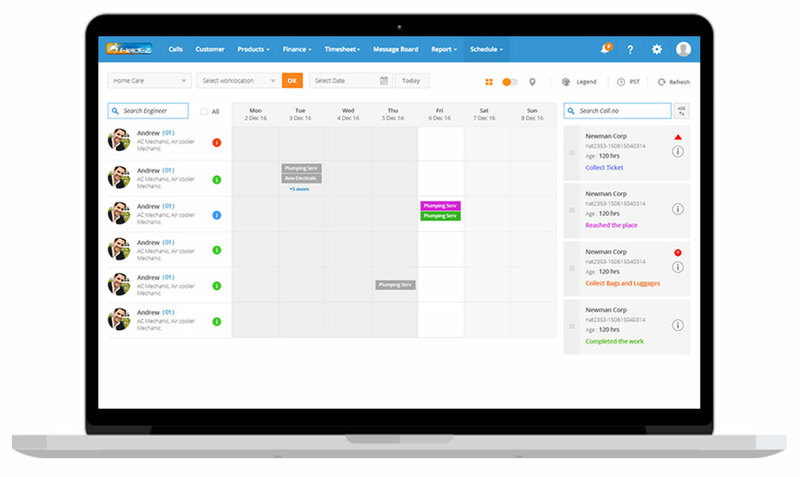 FieldEZ’s CRM can integrate seamlessly with various CRM platforms like ZOHO, Salesforce, MyOB, etc.